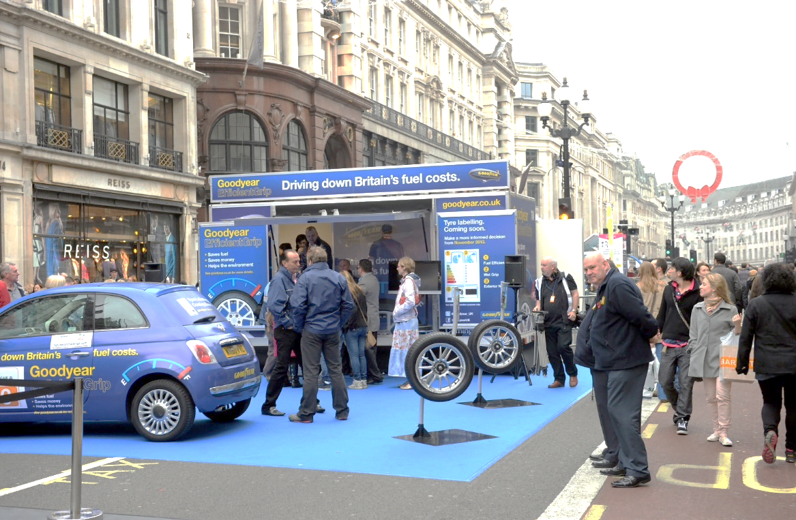 Exhibition Trailer Roadshows from TCM Trailers are a great way to introduce your products or services, to consult with the public or to promote your brand across the UK. TCM have experience of working with a number of major companies, charities and public sector organisations – either in partnership with roadshow management companies or providing a full management service including booking space, providing promotional staff and trailer branding. 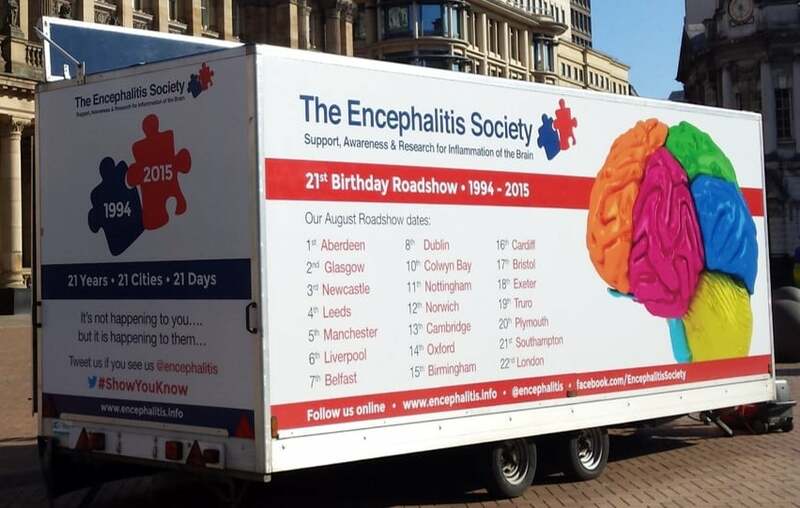 We have provided trailers for a number of national roadshows including Scruffs Workwear, Lloyds Pharmacy, 3M Purification, Dunlop Goodyear, Shell Fuel Save Britain and the National Encephalitis Society 21st Anniversary Roadshow. As with all our exhibition and merchandising trailers, we don’t have complicated key handover procedures and our trailers are designed to be set up and ready to use in less than five minutes. Your roadshow trailer will be extremely quick to set-up and break down at the end of the day, and secured with combination padlocks so there will be no issues due to lost keys. Each trailer comes with a trailer manual to show how to safely open and close, and we will meet your staff on site on day one to provide a full training session. All our roadshow trailers are provided with a current electrical certificate, fire extinguisher, small first aid kit, and all the electrical items within the trailer will be PAT tested. 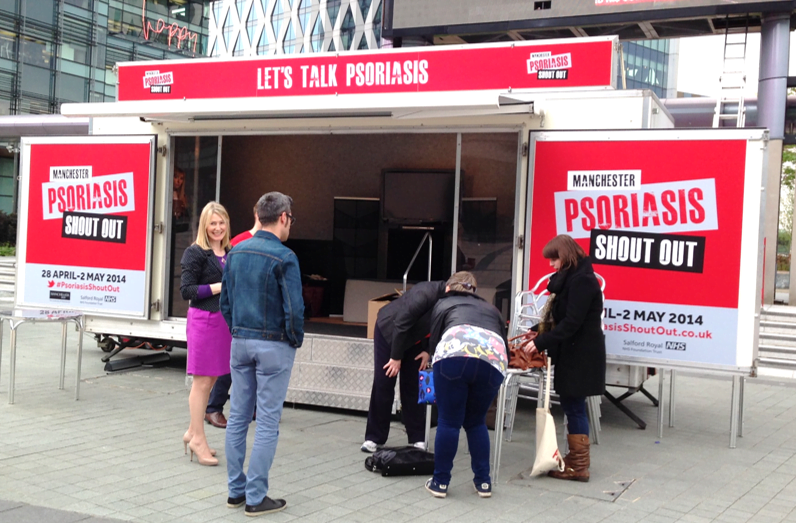 For our roadshow trailers with no fixed furniture, we provide options including leather chairs or sofas, reception desks, room dividers, desks, storage, leaflet racks and bistro-style tables and chairs. All these are provided free of charge with trailer hire, just add your requirements on to the booking form. TCM also offer a range of additional services for an extra charge. 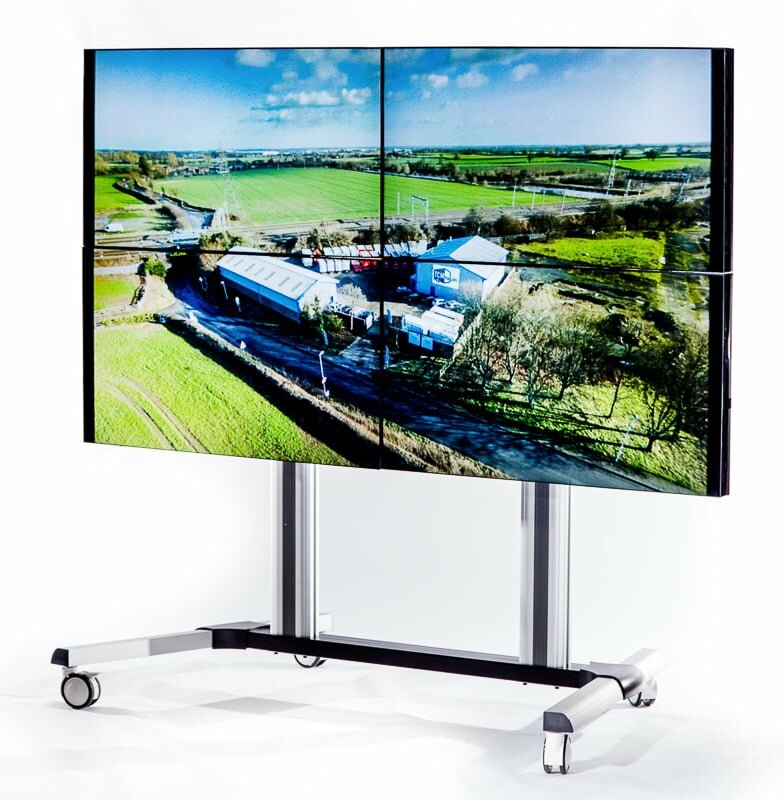 For example, trailers can be hired with generators to power lighting; we also offer a range of 20 inch and 43 inch digital screens or LCD flatscreen TVs for hire in a variety of sizes. For maximum impact, we also hire a 2×2 video wall which is ideal for showing video content, ensuring you stand out from the crowd. We can even provide a mobile wifi unit to keep you connected on the move. 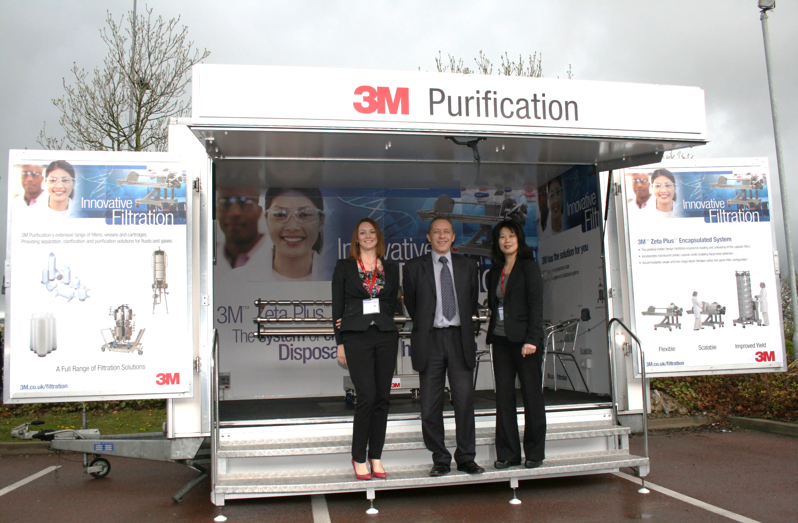 For maximum impact, we offer a full trailer graphics/branding service. Prices start at just £350 + VAT for the two wing panel doors at the left and right of the front opening, printed on to re-usable 5mm foamex panels. We store these between periods of hire so if you plan to use a trailer for a show or promotion in the future, this is a very cost-effective option. If your budget stretches to a full vinyl wrap, we can provide all the panel sizes your graphic designer needs and print and fit the vinyl prior to delivery. the cost for a full vinyl wrap varies according to the size of the trailer and the panels used, but can be up to £2500 + VAT. 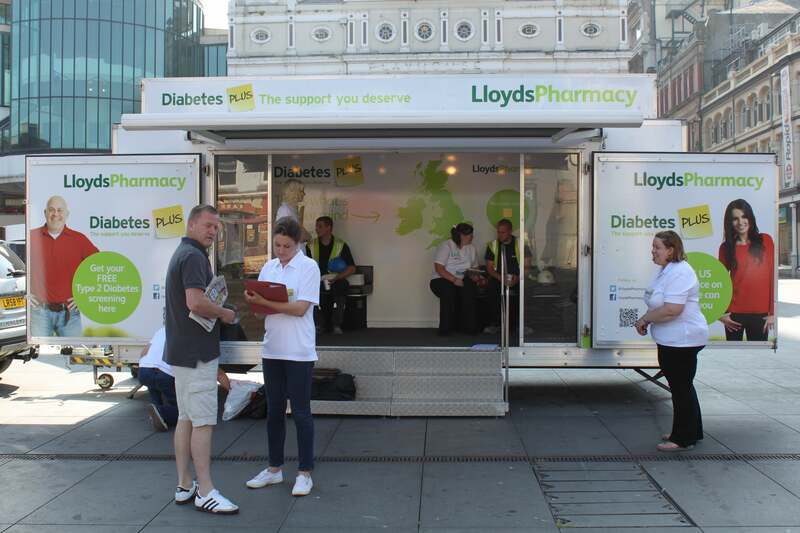 Typical roadshow prices vary according to the length of the campaign and the number of trailers required so for further information or just to talk through your ideas, please call Lindsey on 01543 546474.